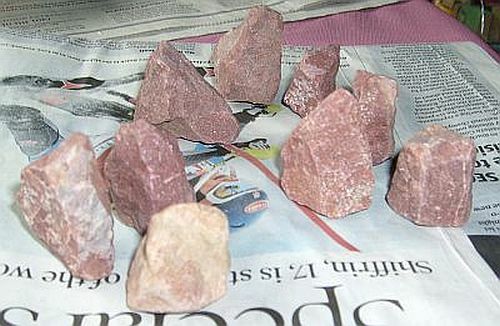 The rocks are then soaked, scrubbed and sanitized prior to painting. 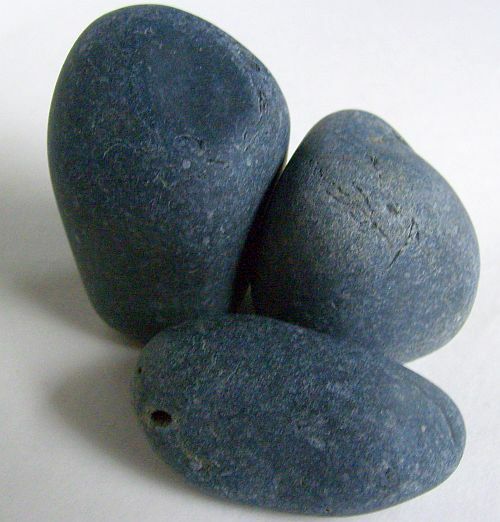 As each color of acrylic paint is added, the rock begins to develop a personality and eventually becomes Mary, Joseph, and Baby Jesus. Robe, skin, and hair color vary to give each set a unique, one-of-a-kind look. 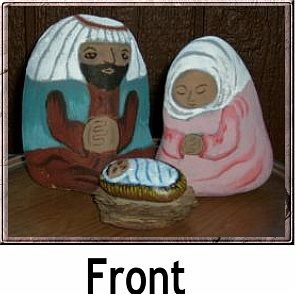 One to two coats of sealant is applied to protect the colors and extend the life of each hand-painted rock nativity figure. 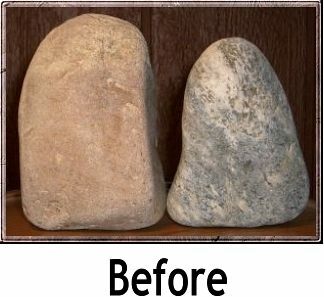 Watch the following video to see a quick transformation from unassuming Colorado rocks to a unique, hand-painted rock nativity set. 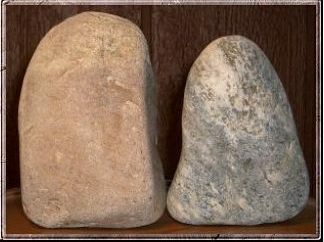 Now, move your mouse over the "before" image below to compare the "after" nativity set to see how ordinary rocks come to life as Mary and Joseph. Move your mouse over the "front" image below to compare with the "back" image. 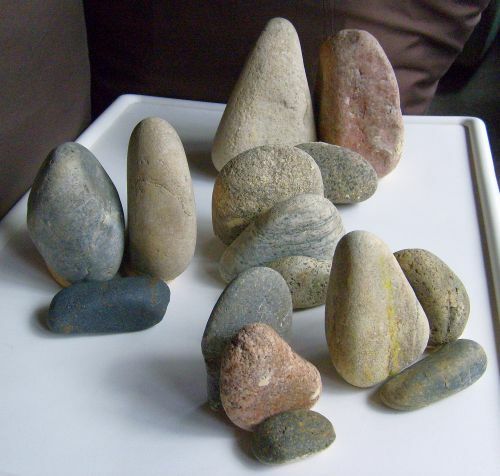 Here you can see how the shape, size and varying paint colors transform the rocks into unique, one-of-a-kind nativities for various Christmas scene displays from tiny to large.